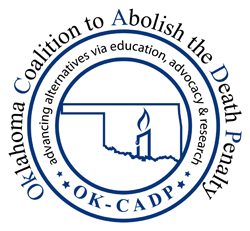 FOR IMMEDIATE RELEASE: OKLAHOMA CITY, OK – The 28th Annual Oklahoma Coalition to Abolish the Death Penalty (OK-CADP) Awards Dinner & Meeting will feature the Innocence Project’s senior attorney Vanessa Potkin as keynote speaker. The event will be held Saturday, June 8, 2019, at the Capitol View Event Center, 5201 N. Lincoln Boulevard, in Oklahoma City – enter off of 50th Street onto Beverly Drive. The evening will include a cocktail reception, buffet dinner and awards program. TO PURCHASE TICKETS, scroll to bottom of this story. Potkin is Director of Post-Conviction Litigation for the Innocence Project. 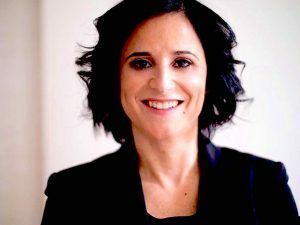 She is also an Executive Producer of the ABC documentary “The Last Defense,” which focuses on the wrongful conviction of Julius Darius Jones who has served over 19 years on Oklahoma’s death row. Founded by attorneys Barry Scheck and Peter Neufeld, Potkin joined New York City’s Innocence Project in 2000 as its first staff attorney. 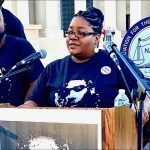 Regularly consulted by members of legal and legislative committees, as well as media outlets, she has helped to pioneer the model of post-conviction DNA litigation used nationwide to exonerate wrongfully convicted persons. 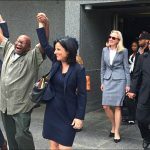 Potkin has represented and exonerated over 30 innocent individuals across the nation, who have collectively served over 500 years of wrongful imprisonment. Five were originally prosecuted for capital murder. According to the Death Penalty Information Center, since 1973 there have been 164 people exonerated from death row in the United States – 10 in Oklahoma. Potkin maintains a post-conviction docket, crafts litigation strategy, writes motions, and litigates in trial and appellate courts nationwide. She works to secure post-conviction DNA testing. She uses DNA test results and other exculpatory evidence in cases involving false confessions, erroneous eyewitness identification, informant testimony, faulty forensics, prosecutorial misconduct and ineffective assistance of counsel. 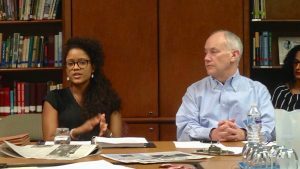 An adjunct professor of law at Cardozo School of Law, Potkin has co-instructed the Innocence Project Legal Clinic since 2000. Oklahoma has had a moratorium on the death penalty since October 2015 after the wrong drug, (potassium acetate instead of potassium chloride – the drug approved as a part of the state’s three-drug protocol) was nearly used to execute Richard Glossip. The Oklahoma DOC is currently working with the state Attorney General’s office to develop a new death penalty protocol incorporating nitrogen hypoxia, which has never been used before in the U.S. Until the new procedure is in place, all executions will remain on hold. During the dinner program, three Abolitionists Awards will be given to honor those who have demonstrated extraordinary efforts to end the death penalty in Oklahoma. The awards include the Opio Toure Courageous Advocate Award, the Phil Wahl Abolitionist of the Year Award, and the Lifetime Abolitionist Award. Individual dinner tickets are $50, $15 for students, and sponsorships for tables of 10 cost $500. To order tickets by mail, send checks, along with guest’s names, to: OK-CADP, P.O. Box 713, Oklahoma City, OK 73101-0713. Please indicate “annual dinner” in the memo line. To purchase tickets online use the drop down menu below. Impressions and Questions: Could documentary ‘Killing Richard Glossip’ end up saving him?